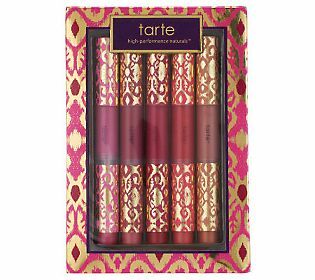 Tarte Cosmetcs simply become one of my favorite cosmetic brands. I have used this make up bag since i got it and have to say it is a little bit small but you can still carry your beauty essentials. In my country it is still cold. So I prefer a medium to full coverage foundation to hide any imperfection in my skin. I got a medium color and it is little dark for my skin but covers pretty much. 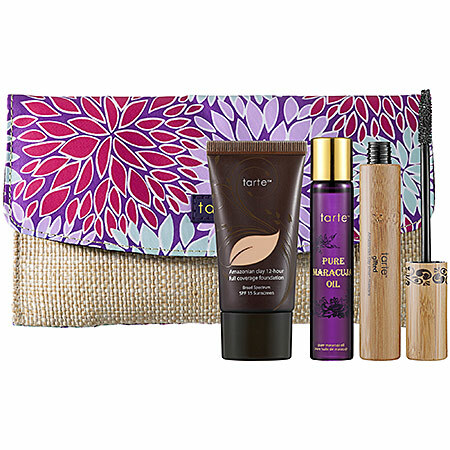 The pure maracuja oil rollerball is perfect for skin rejuvenation on the go. I have a dry skin especially in the winter so it helped and hydrated my skin. Now it looks more brighter and smoother. I often use this product under my eyes to prevent dark circles. Amazonian clay mascara is one of my favorite mascaras of all the time. It does not leave my lashes clumpy and it is pretty good lengthening one. 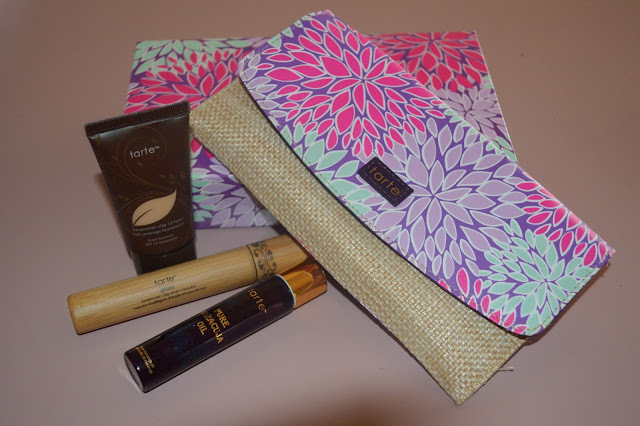 So far, i am lovin this products. 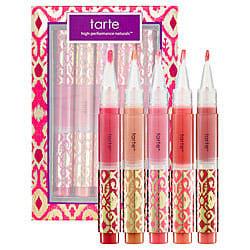 Another pretty set is - Baby it's bold outside from Tarte high-performance naturals. 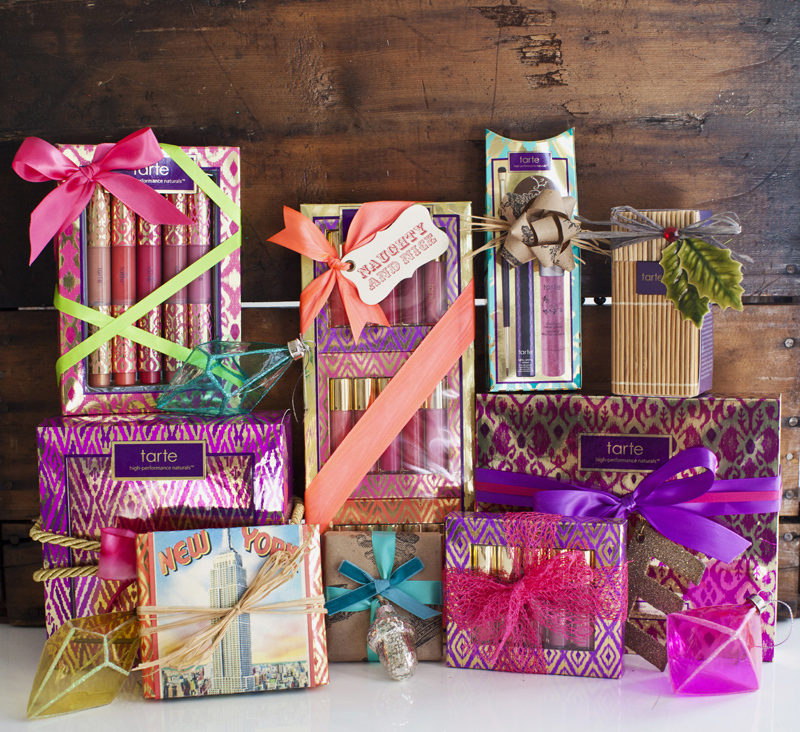 bubbly; curious; preppy; chic and sparks.